Fairewinds Science Advisor Dr. Leslie Kanat returns as a guest on Fairewinds podcast to dig deeper into seismic issues and nuclear power. Can humans cause earthquakes? Join the Fairewinds Crew and Dr. Kanat to find out! 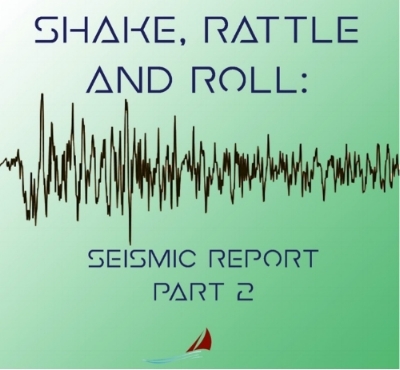 Didn't get the chance to tune in to Seismic Report Part 1? Check it out here. Learn more by checking out Fairewinds’ material on AP1000 reactors from 2010 onward here. In an interesting declaration published by World Nuclear News, the admission that carbon prices do not help the nuclear power agenda speaks an intriguing truth. As the global community looks to fight climate change effectively, there are those who have focused on a pro-nuclear energy strategy as the only route to a carbon free future. As Fairewinds Energy Education has consistently pointed out, apart from the serious environmental and health risks, nuclear power is not an economically viable solution, especially when compared to renewable technologies. What the World Nuclear News article does argue for are “direct benefits” aka government subsidies to the nuclear industry under the assumption that “some of the premium paid for these new nuclear projects should be considered as the cost of controlling carbon emissions.” However, as consumers have experienced in places like Georgia with the slow, costly construction of two new reactors at Vogtle that are billions of dollars over budget and years behind schedule, the promise of nuclear power saving us from carbon emissions seems too hypothetical, impractical, and costly.